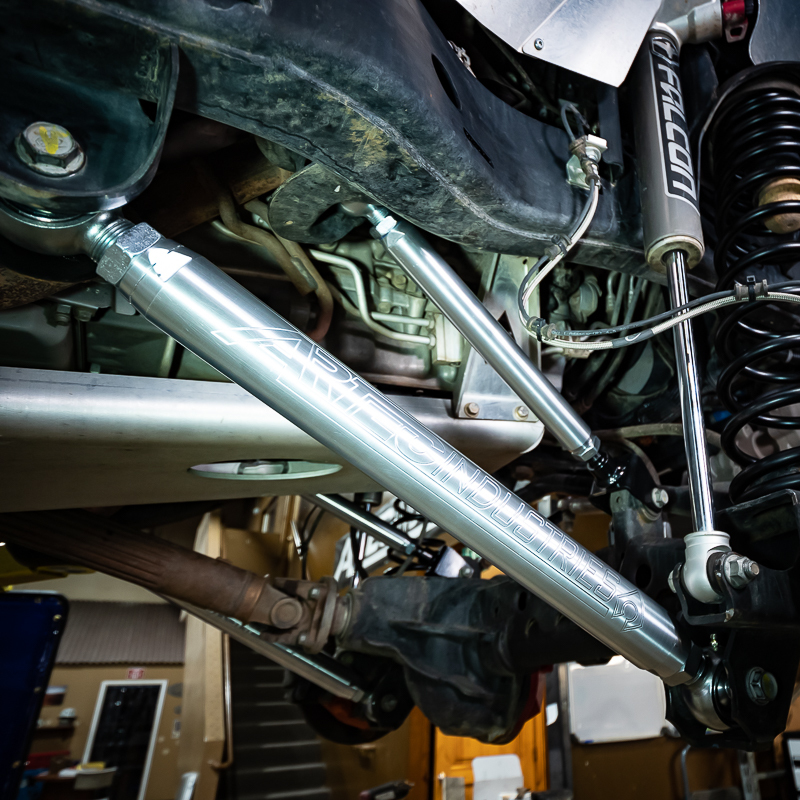 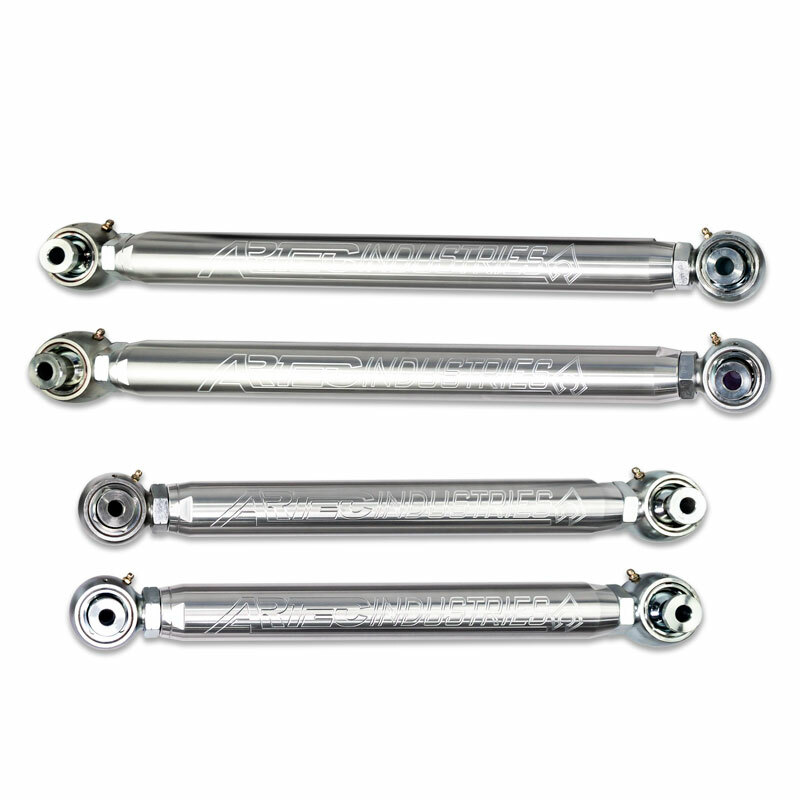 The JK ALUMINUM Mid Arm Kit starts with our 2.0" outer diameter, aerospace grade 7075 Aluminum lower links front and rear but does not include upper links. 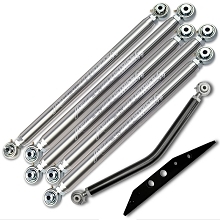 The aluminum links are out-fitted with time-tested Rock Krawler brand Krawler Joints with a 1.25" thread with matching jam nuts. 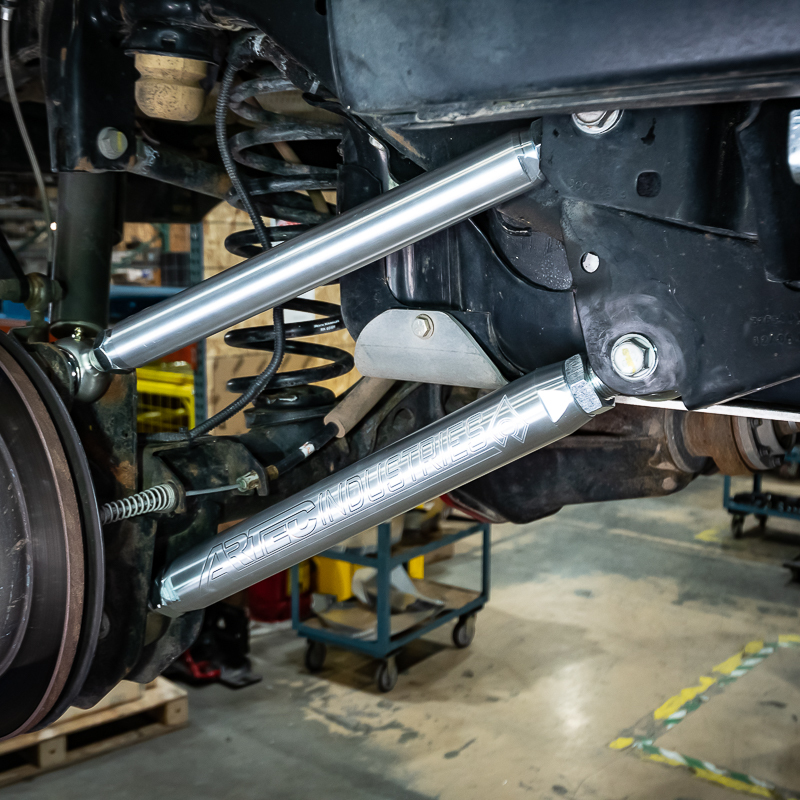 These are the same joints shipped in nearly every Rock Krawler lift kit so you know they stand up to the test of time and abuse...not to mention there are millions of them on the streets. 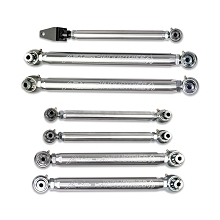 Each link is threaded with both a Right Hand thread and a Left Hand thread at opposite ends so it is easy to adjust the length for fine tuning. 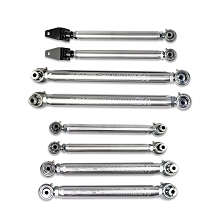 We've also included wrench flats on each end of the aluminum link so you can easily tighten your jam nuts without marring the aluminum.